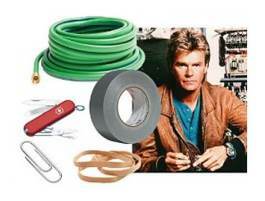 In the late 1980s, we were all introduced to this concept when each week we tuned in to the television show MacGyver. MacGyver could solve any problem with the materials laying around him. This idea is a nice metaphor for how the web has evolved in the past decade. There are now many options for content creation, communication, sharing, and community building laying all over the interwebs…as some of my colleagues call it. Over the past five years, we in the Center for Teaching Excellence have tinkered a lot as we explored digital technologies that were now available and probed how they might be useful in an educational context. 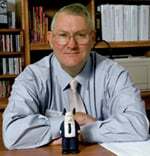 Stephen Downes shared a link from Inge de Waard yesterday which summarize a new report released from the Technology Enhanced Learning Research Programme out of the UK that explored building online learning solutions that are durable – Beyond Prototypes: Enabling Innovation in Technology-Enhanced Learning. “TEL involves a complex system of technologies and practices…it is necessary to look beyond product development and pay close attention to the entire process of implementation. Significant innovations are developed and embedded over periods of years rather than months. Sustainable change is not a simple matter of product development, testing and roll-out. 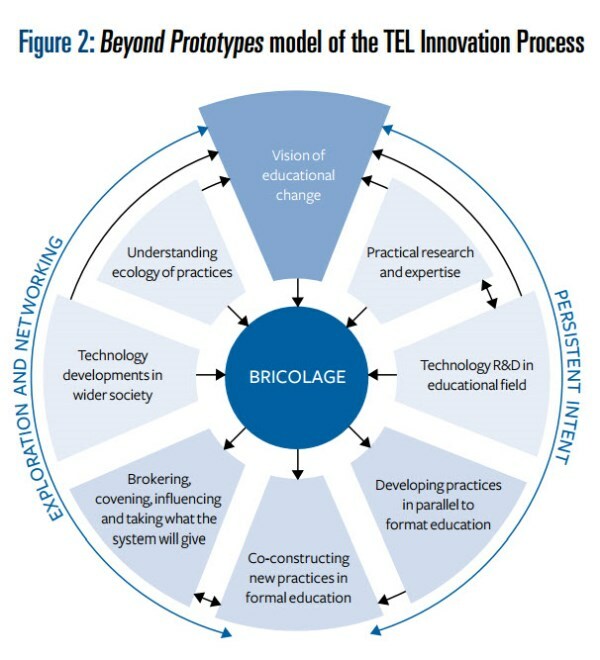 TEL innovation is a process of bricolage… It also requires engagement with a range of communities and practices. An online sensitizing activity before joining a cohort to surface preconceived beliefs about online teaching and learning. A week-long cohort process to build community and explore online teaching practices and processes. A long-term relationship with a design consultant to develop and teach an online course, providing pacing for development and a safety net for exploration. Redesign of the course, taking into account the data collected during the first iteration. Over the past four years, we have engaged 77 faculty members in the development of 74 courses. Yet I would suggest that we are only in the early days of “sustainable change.” Some of these courses are still under development or have not yet been redeveloped. We have the beginnings of a community. As we move forward, we need to continue the process of bricolage…engaging with and building this community. Day 24 – How might my teaching practice be informed and sustainably changed for the better by tinkering with open resources on the web?